The collapse of Marxism in much of the Third World as well as Europe was so sudden and spectacular that it is hard to believe that in the space of seven years The Journal of Communist Studies could bring out special issues both on the creation of ‘Military Marxist Regimes in Africa’, and on their demise and the wider collapse of Marxist governments on the continent. 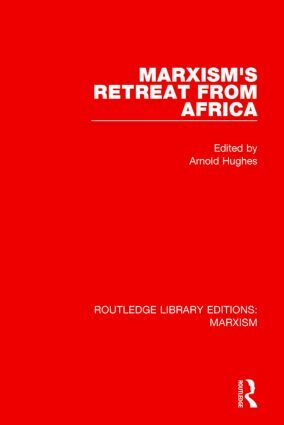 This volume, first published in 1992, derives from a roundtable on the theme of ‘The Retreat from Moscow: African and Eastern European Experiences of Disengagement from Marxism’, held at the University of Birmingham in September 1991. The conference examined the recent experiences of African countries in transition from Marxism and Marxist-influenced ideologies to an uncertain future based on the market economy and a plural political system.